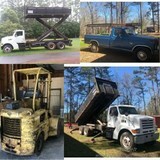 Business & Estate Auction Specialist Atlanta GA. Accelerated Auction Solutions is a team of professional Auctioneers with over 60 years combined experienced in the Auction and Liquidation Industry. We make it fast, simple and convenient for you to turn your assets into cash. Our goal is to get you the highest rate of return in the shortest time possible. We conduct both Live and Online Auctions and are experienced in all types of events including Estate Settlements, Business Inventory Liquidations, Government Agencies, Building Materials, Heavy Equipment, Restaurants, Art, Collections, Antiques, Fundraising and Charity Auctions. © 2012 Accelerated Auction Solutions llc. All rights reserved.